Twrill with Freestylin and Jack -- Appies stick together! Appy Dam & Proven Appy producer! 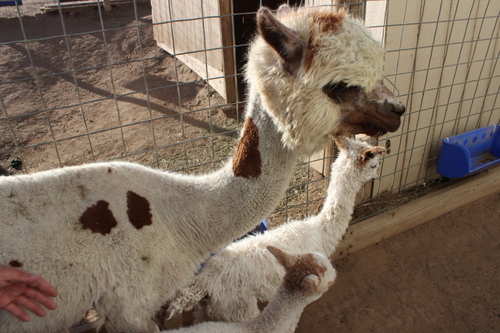 Owned by Karen Byram (Patagonia) at the time before becoming a cornerstone of the grey and black program of Birdsong's Alpacas (Chris and John Fitzgerald) and then settling down at Lazy Daze Ranch (Sue and Tom Lindh). 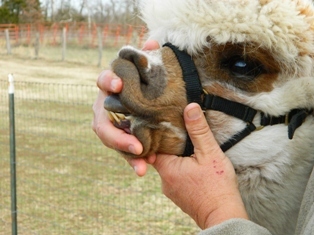 Owned by Dr Ralph Uber (Happy's `U' Alpaca Ranch, one of the first in the US), at the time. Ask for Price See package deal! 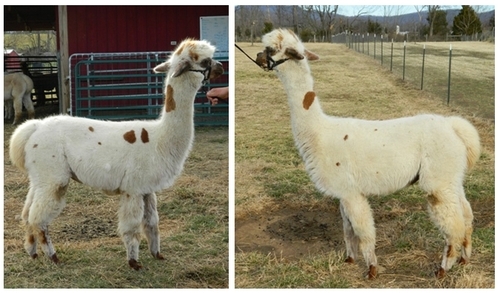 Twrill is being sold as part of an Appaloosa only package of several dams and our champion herdsire, Jacob. Twrill has produced on our farm, Freestylin' - who has fantastic crimp, fineness, density, staple and SPOTS! Freestylin' is sired by our white Accoyo herdsire Orionn who has shown that he will produce appaloosa's when bred to one (see also Freestylin's half sister Imitation). Twrill is available as part of our 'all appy' package, instant appy herd package. Note: specific listings details supersede general information. Cash at 5-10% discount (depending on package/pricing) or finance at 12 month 0% interest available at 25% down. Other financing can be possible depending on situations/purchase. Included is 30 days free board from contract, afterwards agisting is possible at $4/day. Transportation and associated costs are the buyers responsibility. At payoff, the AOA 'breeder' certificate transfer will be allowed, at our cost for alpacas priced above 1000. 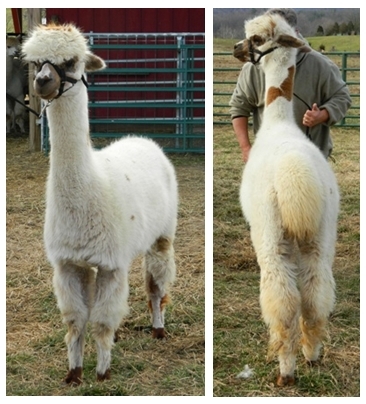 For proven dams/sires and alpacas under $1500, no breeding warranties will be extended. 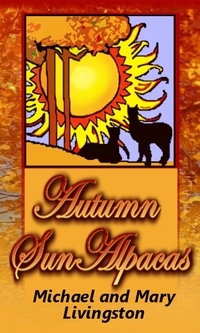 Live cria guarantee provided to 30 days -- as long as Autumn Sun Alpacas has available, wholly owned and unrestricted herdsires -- as specified in the contract signed.